Anyone who has seen Oliver Stone’s JFK knows that one of the central figures in the movie was New Orleans international trade mart director Clay Shaw portrayed well by Tommy Lee Jones. Many in the mainstream media categorized Garrison’s prosecution of Shaw as a witch hunt and a baseless case being used to get Garrison further publicity. But the more you look at the actual record you find that Garrison may not have been as far out as many of the media made him out to be. Shaw & the CIA – Clay Shaw’s involvement with the intelligence community dates all the way back to his involvement during World War II despite his insistence that he was a medic during the war documents have proven he worked for an Army Counterintelligence group called the Special Operations Section. His military record is classified, why would you need to classify the records of a medic ? Three years after the war in 1948 Shaw became a member of the Centro Mondiale Commerciale it Italian based group which was a CIA front used for running espionage activities in Europe he remained with them until 1956. Throughout much of the 50’s Shaw would file reports with the CIA’s domestic contacts division along with sending documents to the foreign documents division. Towards the end of the 1950s however his participation with these two groups began to subside, but as late as 1967 Shaw had CIA security clearance for a CIA project called QKENCHANT, a secret CIA project the full details of which are not known to this day. Two other interesting individuals were also given security clearance for this project one being E. Howard Hunt suspected by many of being heavily involved in the assassination plot to kill President Kennedy and a lesser known name Monroe Sullivan who was the director of the San Francisco international trade mart in 1963 and who also just happened to be Clay Shaw’s main alibi witness for the day of the assassination. Former CIA agent Victor Marchetti said that during Shaw’s trial the CIA were receiving regular updates about the ongoing situation in New Orleans and would have regular meetings headed by Richard Helms. It should be noted that in the late 1970s as CIA director, Richard Helms admitted Shaw’s connection with the agency a fact Clay Shaw always vigorously denied during his court case. Shaw & Ferrie – Clay Shaw also vigorously denied that he had Ever known or spoken to David Ferrie but when you look closer you will find several things connecting these two men together one of the most interesting connections is a man named Layton Martens a man with the friend of Clay Shaw on November 22, 1963 Marten’s roommate was David Ferrie. Perry Raymond Russo testified under oath meeting Clay Shaw and Ferrie @ bars in the French quarter as we as at a party David ferrie’s apartment. Husband-and-wife Nicholas and Matilda Tadin testified under oath that the traveled to Lakefront airport in Louisiana together to meet with David Ferrie at an airplane hangar he worked at when Ferrie emerged from the hanger the two testified that he was in the company of Clay Shaw. 6 witnesses testified under oath at Clay Shaw’s trial that they witnessed Shaw along with David Ferrie and Lee Harvey Oswald’s at a voter registration event in the town of Clinton Louisiana. The witnesses included John Manchester the Clinton town Marshall and Corrie Chambers the head of the voter registration event. The House Select Committee on Assassinations investigated the claims made by the people in Clinton, Louisiana and found them to be credible and believed that the Clinton witnesses were telling the truth. 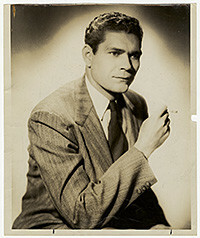 Clay Shaw was a single man who never married and had no children. He was part of the New Orleans elite who liked to take in the finer things of life; not exactly the target audience to be driving around in a station wagon. Summary – it is only fair to point out that Clay Shaw was tried before a Jury of his peers and found not guilty, much of the info we know about Shaw was not known to Jim Garrison at the time of the Trial. Would any of the new Info known about Shaw have made a difference in the verdict? it is impossible to know. But what it does tell us is 2 things #1 – despite what has be told to us by mainstream media reports and Warren Commission apologists Jim Garrison’s case was not just a baseless case of smoke and mirrors & # 2 – we don’t really know who & what Clay Shaw really was and we don’t know if we ever will. Mary Lucille Bass Connell: Relation to Texas Oil Kings? What Does this Picture and Pieces of the Puzzle Volume 2 Have in Common? 2019 Announcement: Pieces of the Puzzle Volume Two is Coming!